Do you think this bird is some sort of vulture? If you live in Canada or the USA and have a “front lawn,” how would you like to wake up in the morning and see one of these guys standing in your front yard? 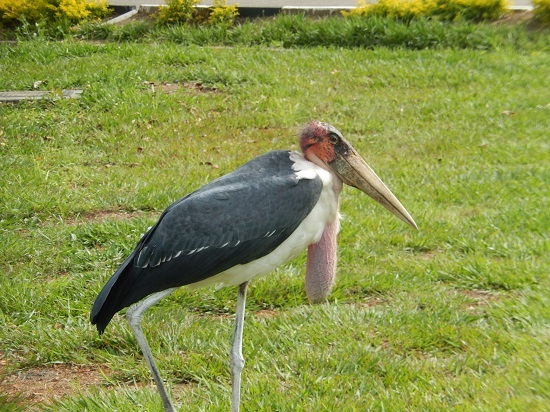 One of the strangest looking birds that I’ve ever seen is the Maribou Stork. That big chin bag he has makes me wonder what he keeps in there?